Which range of flower essences should I use? Many people feel quite overwhelmed when they realise just how many flower essence ranges are available today. How do I choose which range to use?…….is a question I often am asked. 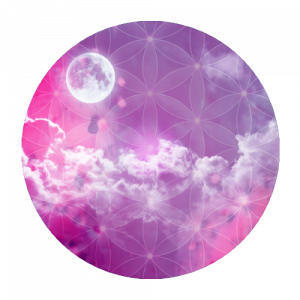 There is no easy and quick answer to this question – except to say that most of the time the range you need right now is the one right under your nose as for whatever reason this energy has found its way into your life. When I first began using flower essences, it was the Bach range that I used, introduced to me at the time by my hairdresser. For several years I read everything I could about the Bach Essences and used many of the essences very successfully on myself, friends and family. Today many years later I still use the Bach range almost daily. I find they are particularly useful to treat different personality types and with some research and perserverance, we can all usually find our constitutional type essence in this range. For example, if you are someone who worries continuously about those around you, you may be a Red Chestnut type. 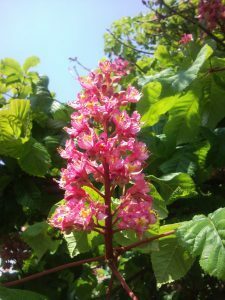 Taking Red Chestnut will help you envision more positive outcomes for those you love, freeing your and their energy up to move forward. Another example is how you are when you have, for example, a cold. If you are impatient to get well and dislike resting, you may be an Impatiens type. If you ignore your bodily symptoms and keep pushing forward (often ending in exhaustion), you may be an Oak type. Or if you like to be left alone and withdraw into yourself, you may be a Water Violet type. Finding your own constitutional type can be a lot of fun! At Essentially Flowers, we encourage you to learn about and experience many different ranges of flower essences. There are so many beautiful flower, plant, tree and mineral energies just waiting to be of help. Our Practitioner Diploma gives extensive information about 12 different ranges, including the Bach range. I hope you have enjoyed reading about the Bach range and I will be introducing you to some other ranges in future blogs. Check out my free e-book “Ten Flower Essences to Transform your Complementary Health Practice“.